Click on thumbnails for details about the app. You can comment on the app and rate it up if you like it. Take a screen shot of the site's home page and re-size it to a width of 500px. Create a new page using the New Page module on the admin dashboard page. Be sure to use the site name in the NewPage input box (i.e. myapplication) and then change the title to something more descriptive if necessary. Tell the Twitterverse about this page! 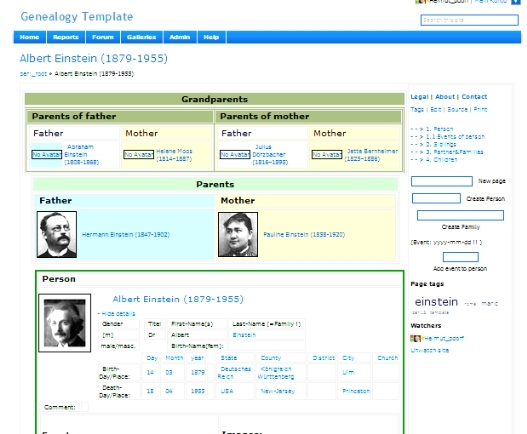 Genealogy-template to clone a new-pure wiki for the own use. 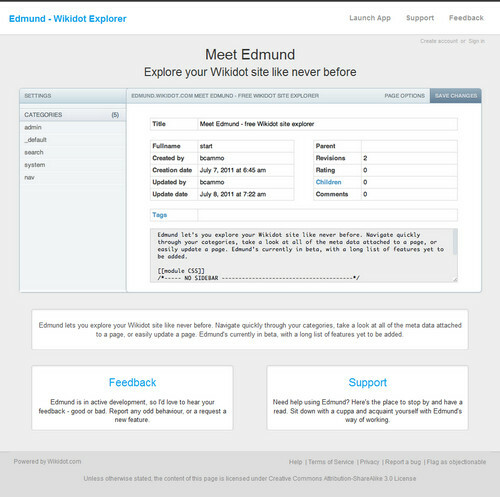 If you have an API key, Edmund is a great tool to browse and edit your Wikidot site. Includes features such as batch tagging and renaming of pages. Posting Window: click on ==> at the bottom!. 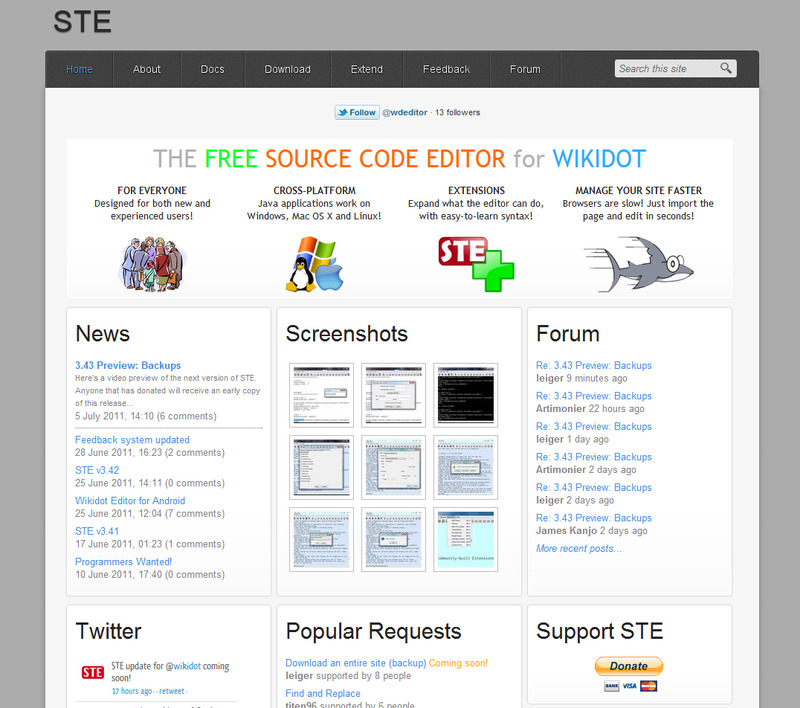 I think - all tools and snippets helping our users on wikidot should be presented here. 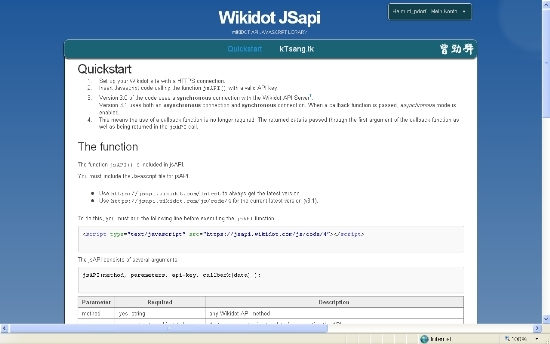 Best source to find a lot is the http://blog.wikidot.com/main:index page on our wikdiot.blog.. Idea is to show with a little screenshot (ca 500 x 300) a little explanation about the application and to show the Link to the Site/page of the APP. I made it like the featured sites.